I only had a couple of short sessions at John Scurr primary school and most of the workshop was drawing improvised picture book illustrations for an on-the-spot creative writing activity. 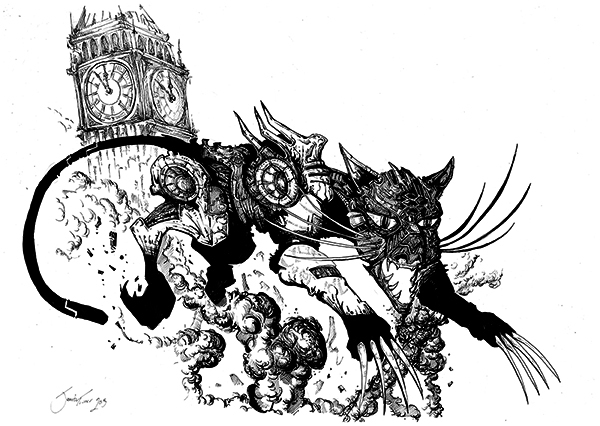 However the class was also working on a project based on The Iron Man book, and so they asked me to draw an Iron Cat jumping from Big Ben. I dropped this off the them the following day and they seemed happy – and Janet Noble now wants to write a Steampunk story for me to illustrate.